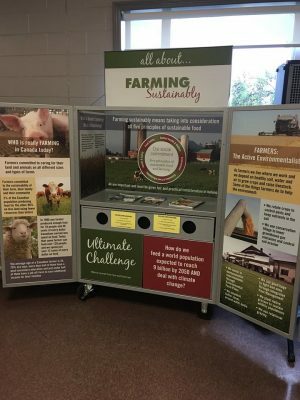 The All About…Farming agriculture educational trailer farm display is a travelling exhibit packed full of beautiful static displays, integrative activities and ideas that will help you to learn all about farming and the source of your food, fibre and other products. Great for school and community events, festivals and county fairs. We’ll travel anywhere in Ontario! 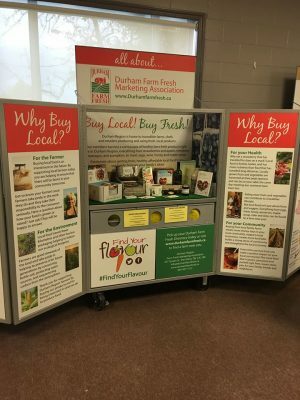 For more information please contact allaboutfarming@durhamfarmconnections.ca or call 289-385-6804. To book the trailer please complete the Mobile Exhibit Online Booking form or alternatively you may download the Trailer Request Form 2019.